Free Shipping Included! 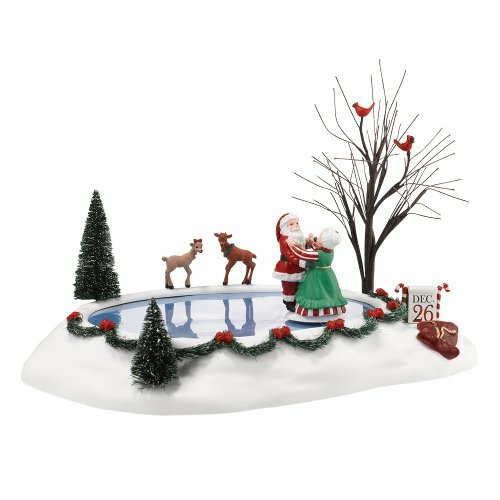 Save 1% on the Department 56 Accessories for Villages Christmas Waltz Animated Accessory Figurine, 2.95 inch by Department 56 at Two Clock. MPN: 4030378. Hurry! Limited time offer. Offer valid only while supplies last. Use Department 56 Cross Product accessories to enhance your Village display. Santa and Mrs. Claus dance to celebrate the end of the busy season. Use Department 56 Cross Product accessories to enhance your Village display. Santa and Mrs. Claus dance to celebrate the end of the busy season. Hand-crafted and hand-painted molded plastic animated accessory. Includes adapter cord.